A roof leak might not seem like a big deal at first, but it can actually damage the framing of your house and compromise your insulation. As one of the top siding and roofing experts in our area, DryTech Roofing LLC recommends fixing roof leaks as soon as possible. If water drips from a leak and hits your insulation, the insulation will clump. Wet insulation is not effective, which can cause your energy bills to be higher than they should be. Warm air can now escape through your attic, forcing you to turn up the heat to stay comfortable. Wet insulation also serves as a breeding ground for mold. Mold can also grow on any part of the roof framing or roof deck constantly exposed to moisture. Water seeping through your roof can damage different structures in your home and cause it to decay. The water leaking through your roof will drip onto the attic floor and run along the underside of the roof decking and drip down along the framing. If the roof leak is left unattended, the wet wood will rot and lose its strength. In the worst case scenario, the roof might even sag. As an experienced siding and roofing company, DryTech Roofing LLC recommends calling us to fix your roof leak the moment you spot it. Roof leaks can cause many other problems. Leaking water can create a puddle, which can cause people to slip on it. The water can also collect behind the ceiling drywall, damaging it and causing it to cave in. Leaking water can also deteriorate your roof deck. Leaking water may also come in contact with exposed wiring, which may lead to a fire. 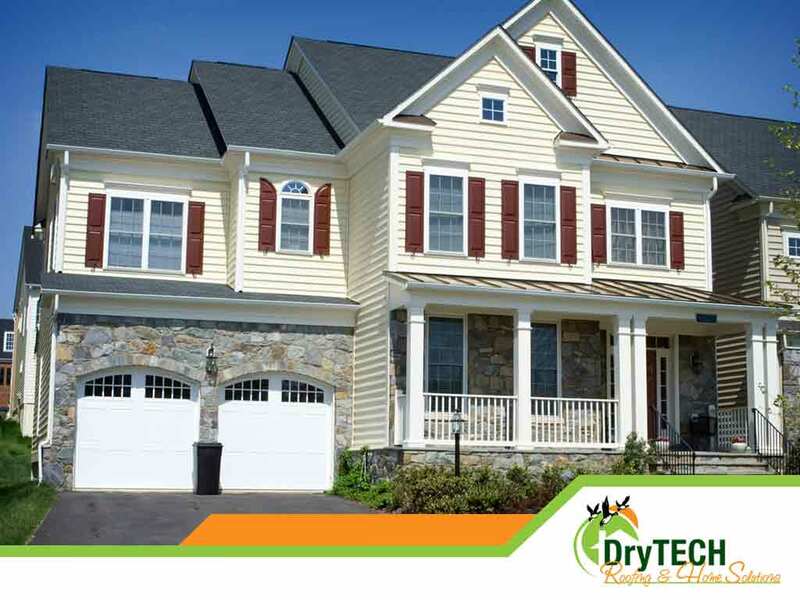 If you need roof leaks repaired or your vinyl siding replaced, give DryTech Roofing LLC a call. We are fully licensed and insured and we are one of the few contractors in the country to have earned the coveted GAF Master Elite® certification. Call us at (240) 491-5600 to learn more about our services and products or to ask for a free estimate. We serve homeowners in Maryland.